Nairobi (AFP) - Kenyan President Uhuru Kenyatta on Tuesday dismissed gay rights as a "non-issue" ahead of US President Barack Obama's visit later this week. Kenyatta also said Deputy President William Ruto, who is still on trial at the International Criminal Court in The Hague accused of crimes against humanity, would also meet the US leader. "That is a non-issue to the people of this country, and it is definitely not on our agenda at all," Kenyatta said in response to a question about gay rights. "We as a country, as a continent, are faced with much more serious issues which we would want to engage the US and all our partners with." 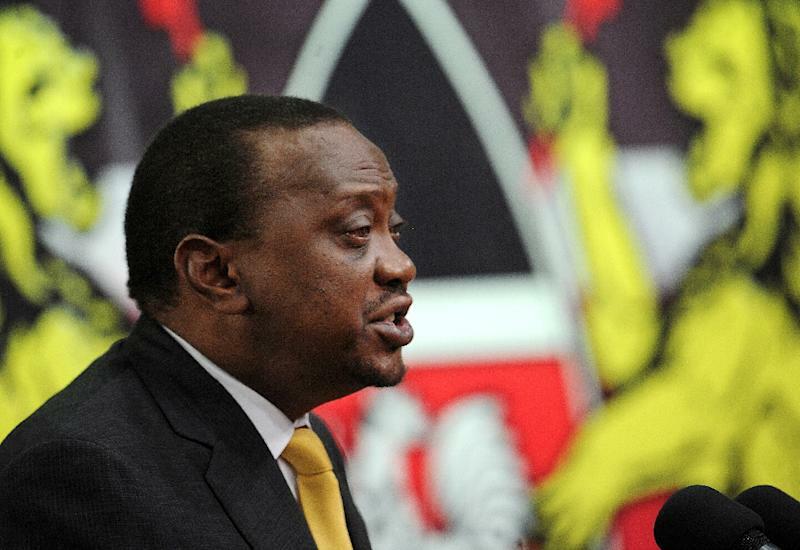 Obama's planned Kenya visit was itself long delayed by Kenyatta's indictment by the ICC. Those charges, linked to post-election ethnic violence in 2007-08, were suspended last year -- in part, prosecutors say, because the Kenyan government thwarted the investigation by intimidating or paying off witnesses. Kenyatta said Obama would meet all members of the government. "Without a doubt, he is coming to meet the government that is in place, that includes all of us," Kenyatta told reporters, standing alongside Ruto. "We shall all be meeting." Ruto has spoken out against homosexuality, telling worshippers in church early this month it was "against the plan" of God. "We have heard that in the US they have allowed gay relations and other dirty things," Ruto said, according to the Daily Nation newspaper. Homophobia is on the rise across much of Africa and homosexuality remains illegal in many countries, including Kenya where it was outlawed under British colonial legislation. 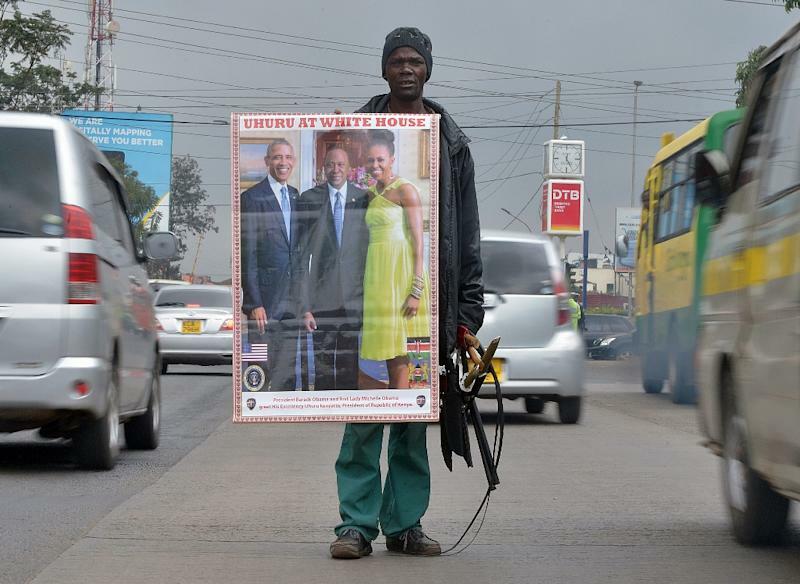 One Kenyan man, Kidala Vincent, had promised to lead a march of "5,000 totally naked men and women" to protest Obama's support for gay rights, so that he can "see and understand the difference between a man and woman". 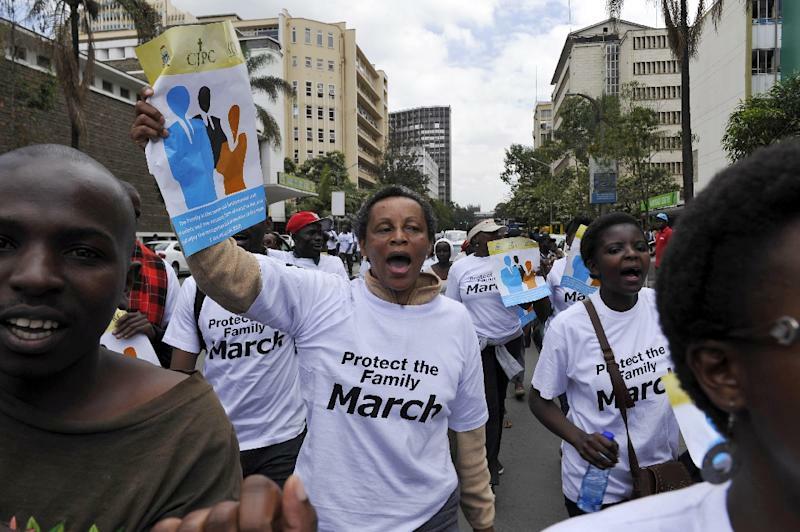 Gay rights activists warned of rising intolerance in Kenya, including attacks on homosexuals and alleged cases of lesbians being raped to "cure" them. Kenyatta said economic development and security were his priorities, with Obama to address a Global Entrepreneurship Summit in Nairobi this weekend. "Poverty, improved health for our people, better education, better roads, better security, these are our key focuses," Kenyatta said, calling on citizens to give Obama a "hearty welcome" when he arrives. "The fight against terror will be central, we have been working in very close cooperation with American agencies," he added. Kenya has been hit by a string of attacks by Somali-led Shebab insurgents. Kenyan troops crossed into Somalia in 2011 to fight the Al-Qaeda-linked insurgents, and later joined the African Union force, AMISOM, which is supporting Somalia's internationally-backed government. Obama's visit will be his fourth to Africa since becoming US president, but his first to Kenya, his father's birthplace, since taking office in 2009. He will travel on to Ethiopia.